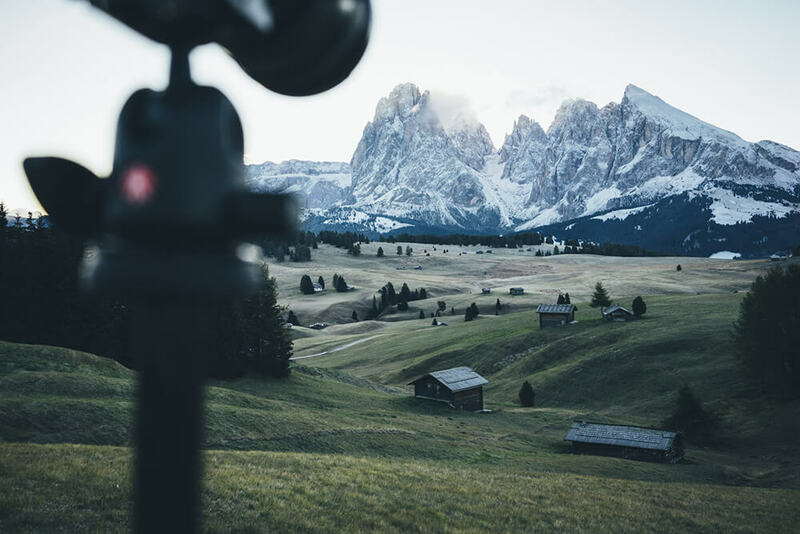 Recently I went on a road trip through Italy and as a landscape photographer there are some areas you just can’t skip. 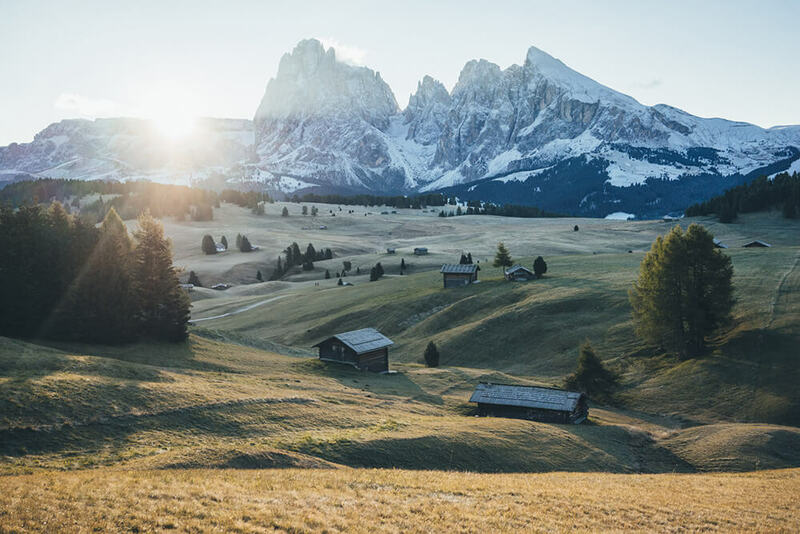 Located in South Tyrol, the Dolomite mountains features some of the most beautiful mountain landscapes anywhere. The vertical walls, sheer cliffs and high density of narrow, deep and long valleys is truly a unique site and should be on your „to be photographed“ -list. 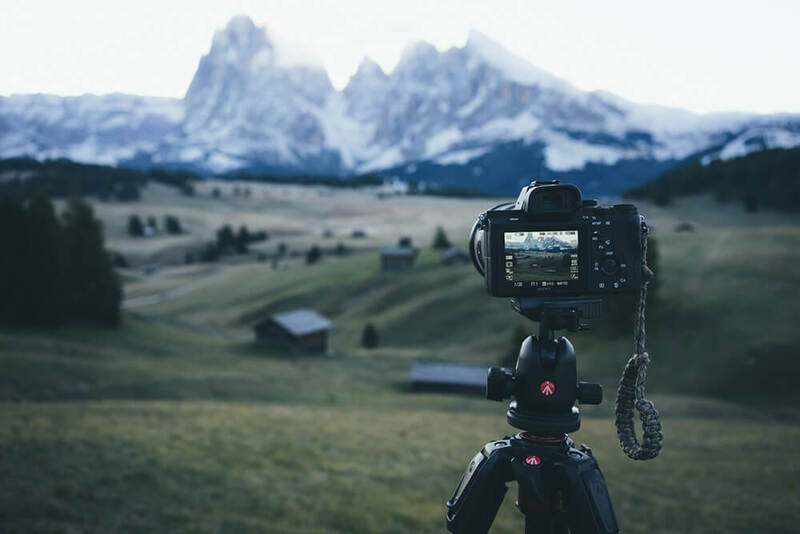 When you are traveling to destinations where you have never been before, it’s always helpful to do research about the places you want to shoot and especially at which time of the day. Depending on the seasons there are always places that are just made to photograph during sunrise or sunset. 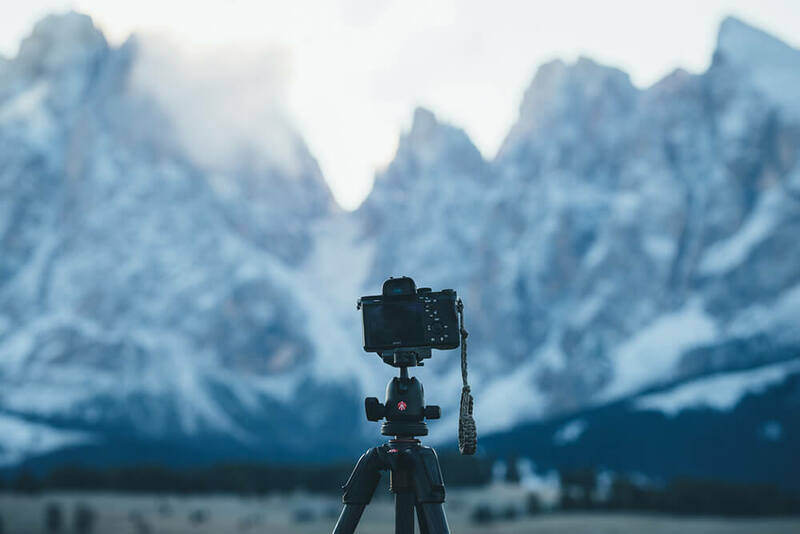 And as I’m a big fan of sunrises, I will show my 3 favorite spots to chase the soft and magical morning light in the Dolomite mountains. During spring the sun is rising on the left side of the mountains and during fall on the right side, both are magical. 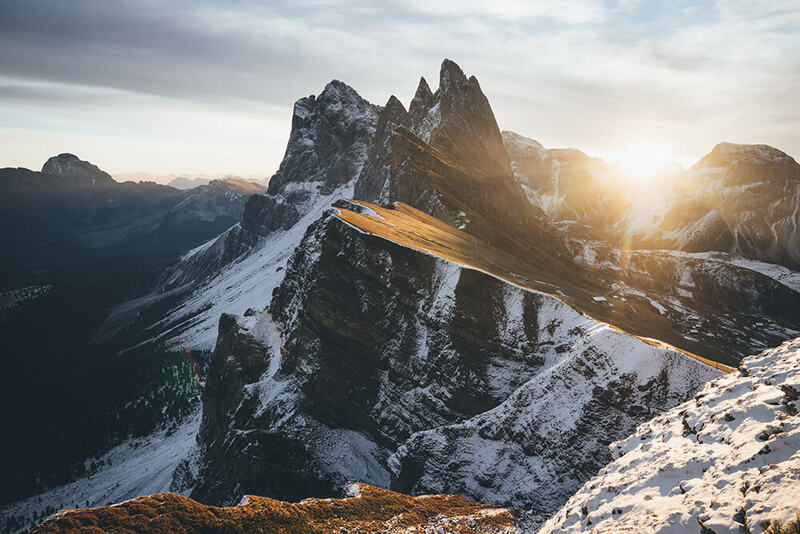 You can either hike up there, which takes about 4 hours or you can also take a lift called Seceda. 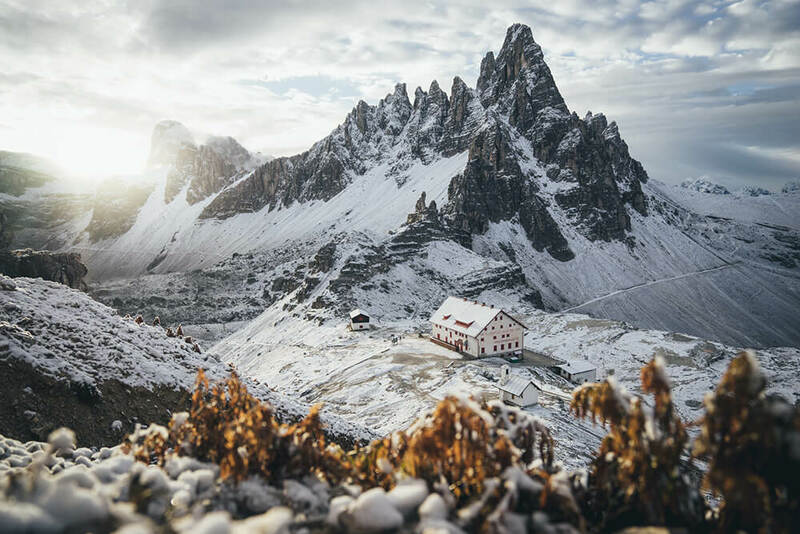 This picturesque Rifugio Locatelli mountain hut is the perfect little escape in the Dolomite mountains. The areas offers a beautiful 360 degree panorama view over the whole area. You can spent the night in the winter hut, so you won’t miss the morning light. The highest alpine meadow of Europe, Alpe di Siusi with the Hohenkofel mountains in the back. The meadows are full of cabins, they work perfect in the foreground of your frame to create a harmonically image. 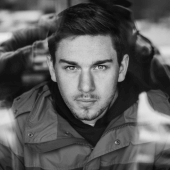 All photos were taken using my Manfrotto 190 go! Carbon tripod. 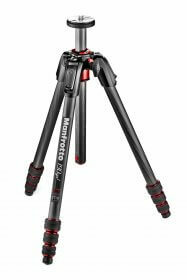 An incredible light and of course sturdy tripod made for mountain adventures.